I visited Gombe Stream National Park, JGI Tanzania, and Serengeti National Park during this trip in Tanzania. 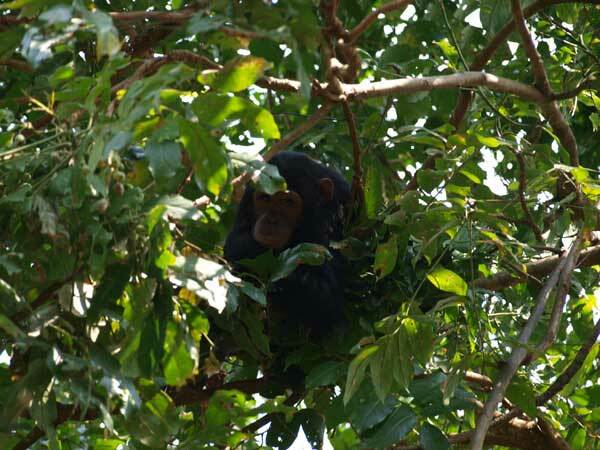 Gombe Stream National Park is one of the famous research sites of chimpanzee established by Dr. Jane Goodall. I started my observation from a small party of chimpanzees, a mother and her children. They were walking around, resting, feeding, and joining other parties. Even the ordinary behaviors such as grooming, pant footing and its response, pant granting to the alpha male, food granting on a tree with fruits were impressive for me as it was my first experience to observe wild chimpanzees. There were some infants and babies in that group, so I was able to observe their solitary play and social play with their mother and siblings. I also observed elder children playing with each other by chasing and wrestling. Dr. Anthony Collins, a primatologist in Gombe, also invited us to Jane Goodall Institute Tanzania and its experimental planting forest of "TACARE" (Lake Tanganica Catchment, Reforestation, and Education). 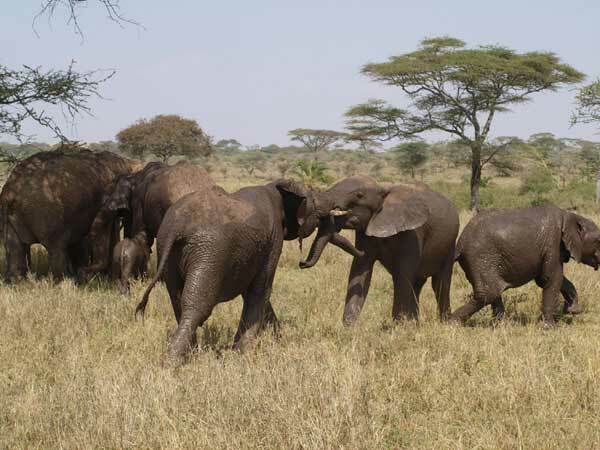 The final destination, Serengeti National Park is the second largest national park in Tanzania and famous for its abundant animals living in savanna. I observed a lot kind of wild lives including which I ordinary meet at Kumamoto Zoo, e. g. , elephants, lions, hippopotamuses, giraffes, and zebras. Most of them lived in groups which often include some infants or babies, so I was able to observe play behavior of some animals even in such a short observation. The ratio of the flexibility and the group size of herbivores and carnivores realized me the ecological pyramid. The vegetation and the land form had variation beyond my former image of savanna, which seemed to provide the lives of such abundant animals. Serengeti National Park: Male elephants hit tusks lightly after the soaking in mud.